Hannah works on a team with Catherine Stier and Allison Flitter, recruiting in the Pharmaceutical and Biotech industuries with a special focus on QC and Analytical R&D roles. 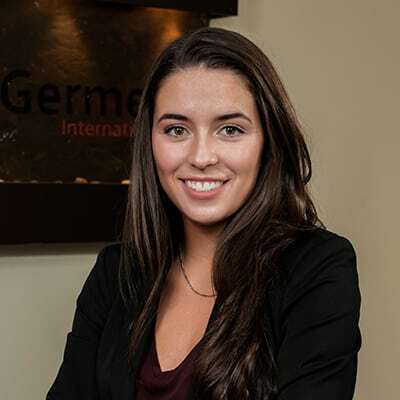 Hannah began her career at GI in June 2018 and loves creating relationships and helping people make positive changes in their lives. Hannah graduated with honors from Villanova University with a BA in Psychology and a minor in Criminology. Hannah grew up in London, England, where she lived for 12 years before coming back to the US. When she’s not recruiting she enjoys traveling and being outdoors.